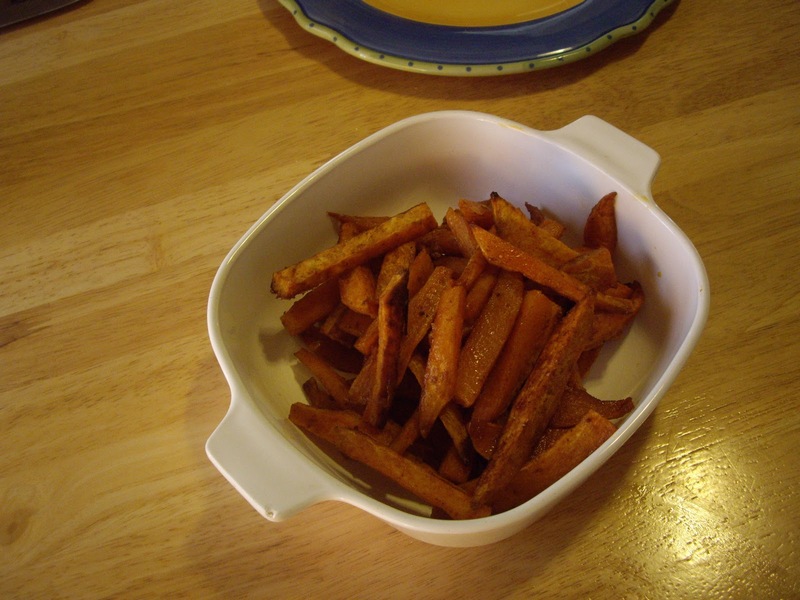 Sweet potato fries are a nice change of place from plain french fries. This version is baked so it is low on fat, but big on flavor. I have to say, I find these fries pretty addicting. They have the sweetness of the potato and a salty/spicy coating that tastes great together. Preheat your oven to 450 degrees Fahrenheit. If you want them crispier move it up to 500 degrees. You will also need one pretty large baking sheet or a couple medium size. A large bowl is also needed. 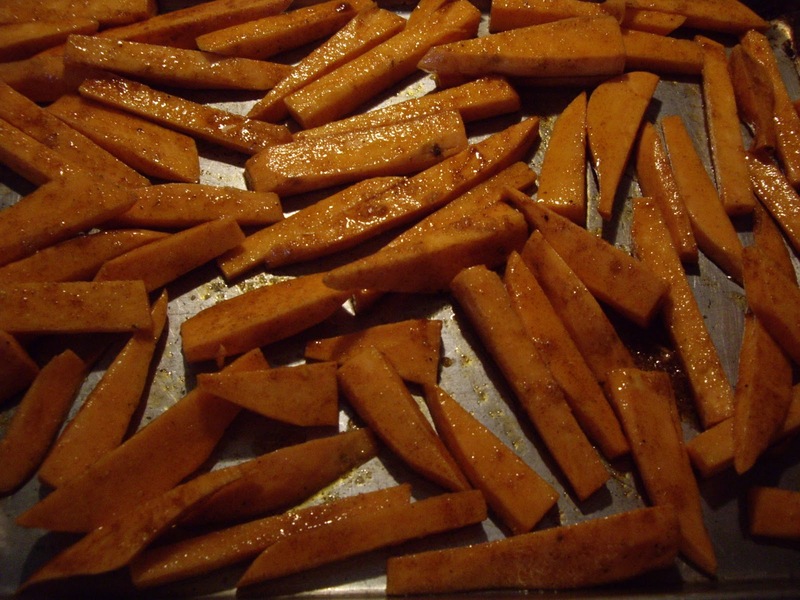 Peel the sweet potatoes and slice into fries. Put the sliced potatoes into the large bowl. Add the olive oil and toss to coat the potatoes well. Add the salt, sugar, and Creole seasoning and mix well with your hands to coat all the potato slices well. Immediately, lay out on the baking sheet(s) in a single layer. Put in the preheated oven for 15 minutes. Take out of the oven and turn each piece over. 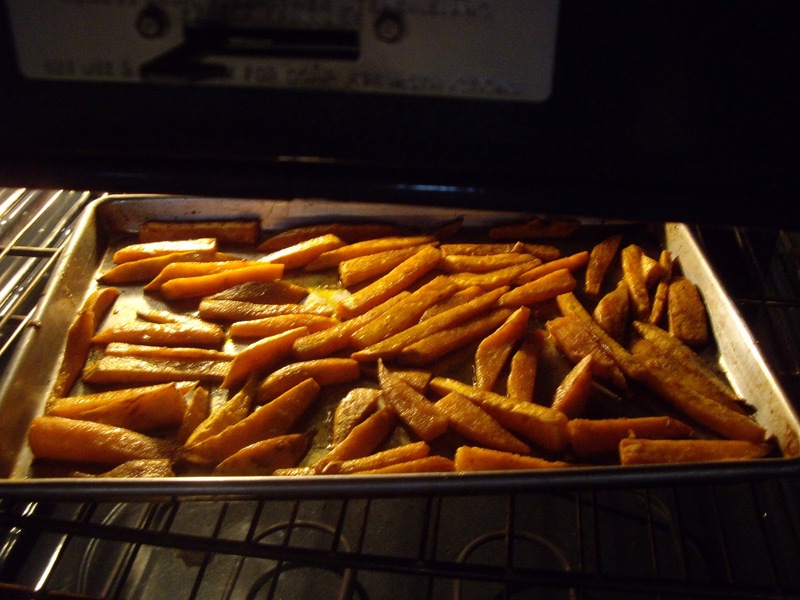 Return to oven and bake another 10-15 minutes or until the fries are browned a bit. The outsides will be slightly crisp. This will serve up to 4-6 people. Serve plain or with your favorite condiment. It is important that you don’t let the fries with oil/spices sit in the bowl. If you do, some of the oil tends to come off before you get the fries on the pan.